Millie is back! In her last adventure, Millie Waits for the Mail, she discovered a new vocation as a "mail cow". Now she and the postman have delivered all the Christmas mail and she's on her way home with packages for her own family.....when she gets lost! Millie's grim determination finally gets her back home - a little worse for wear! But what has happened to the presents? Oh well, everyone gets something they want....even if it's not quite what the giver intended! The humor of the story is perfectly blended with the pictures. 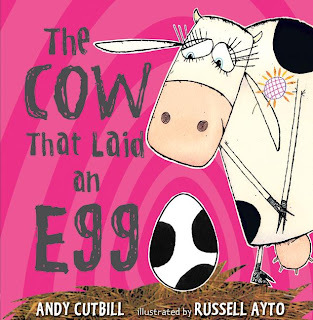 Millie is a heroine once again - and the chickens are as funny as ever! Be prepared to spend lots of extra time on the last spread, picking out all the presents! 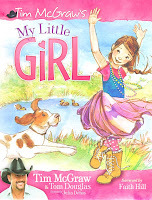 Verdict: A must have for your picture book collection; perfect for winter, Christmas, snow, and other storytimes. Highly recommended. I really enjoyed Sheinkin's first history book, King George: What was his problem? I liked the humor, the narrative style of the, er, narrative, the interesting tidbits of information, all formed into one cohesive whole. The cartoon-style drawings were ok, take 'em or leave 'em. This book is more of the same – a light sprinkling of humor, plenty of well-told historical facts, and a good narrative flow. But, personally, I just didn't like it. For some reason, the style seems too...frivolous for the Civil War. Possibly because the American Revolution is older history while American society is still dealing with economic and social issues dating back to the Civil War. But it's a well-researched, excellently designed, and intriguing account of the Civil War for the middle grade reader. Verdict: Hand this one to middle grade readers who are being forced to research the Civil War and they may discover a new interest in history; this is, after all, "Everything your schoolbooks didn't tell you about the Civil War." Recommended. Margery Cuyler's picturebook series, That's Good, That's Bad, lives up to its title. 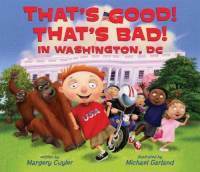 The first, That's Good, That's Bad, illustrated by David Catrow, is a wacky adventure that will have kids waiting breathlessly for the next disaster or triumph. 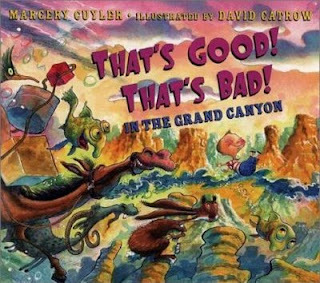 Her second, also illustrated by David Catrow, That's Good, That's Bad in the Grand Canyon, is an equally excellent insanity, as the little boy's vacation in the Grand Canyon takes some strange turns. Because for some reason, the success of her second book apparently inspired her to write a third...and That's Good, That's Bad in Washington D. C. is not good - at all. Firstly, David Catrow's wacky illustrations are replaced by Michael Garland's flat and impersonal digital art, which is not at all inspiring. Secondly, Cuyler seems to have lost the thread of her transitions and events flip from good to bad without the logical progression of her earlier books. Still, two out of three, is not a bad ratio, and those two are indeed enjoyable. Verdict: I highly recommend the titles illustrated by David Catrow, but give the third a miss. That's Good That's Bad in Washington D.C.
Oliver is safely playing in the yard, when he chases a leaf off into the deep forest....and he's lost! But after his first panic, Oliver thinks....and comes up with the perfect idea to find his way home. This simple story will resonate with children and parents alike, as Oliver takes his first steps to independence and children will enthusiastically join in Oliver's roar to help him find his way home. Oliver is perfectly captured by Christopher Denise's artwork. A small, endearingly plump little bear, his facial expressions are solemnly depicted, from his delighted absorption in a colorful leaf, his fear at finding himself lost, and finally his stubborn determination to find a way home. 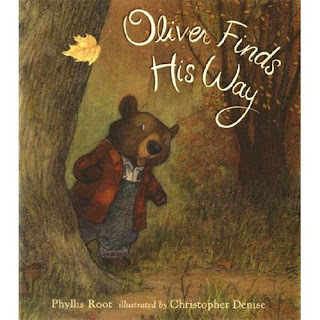 Verdict: Some overly sensitive parents will be worried that Oliver doesn't stay put when he realizes he's lost, but most library patrons will enjoy the sweet story and Oliver's clever solution of his problem. Recommended. This animal-themed nonfiction picturebook showcases animals for several colors – red, blue, yellow, green, orange, purple, and pink. 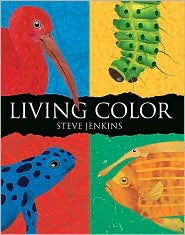 In each of these colors, Jenkins talks about where the animal's color comes from or what it means or is used for – camouflage, mating, warning, etc. Each of the illustrated animals has a caption to pique interest, then a longer paragraph explaining their color. In the back of the book, there are general explanations of how animals get their colors and more on what an animal's color means. In addition, there is a glossary giving details on each of the animals pictured in the previous color sections. An interesting book for browsing or for those interested in general animal characteristics. Verdict: Steve Jenkins is always a reliable choice for nonfiction. This isn't quite as good a read-aloud as some of his other titles, but still a really excellent selection. Recommended. Marjorie doesn't feel special. All the other cows are riding bicycles and doing handstands, but not Marjorie. The pictures are full of exuberant humor and wide wacky grins, as Marjorie, with the help of the chickens, finds herself becoming special after all! This is a wonderful book! Believe me, for I am Urso Brunov! This has been on my reading list for a while, but somehow I never got around to it. Brian Jacques is well-known as the author of the popular Redwall series, and this picture book is an excellent example of his writing skills. 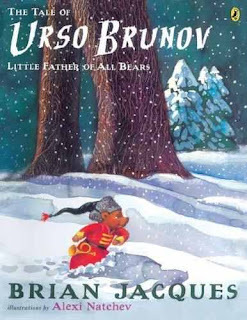 The story of Urso Brunov, Little Father of All Bears, has a rhythmic, folkloric quality to it. The repeated refrains and heroic quest of Brunov will draw younger children through the lengthy text while older children will wait breathlessly to see if Brunov conquers each new obstacle. There are only three poems in the story (I am not a fan of Brian Jacques' poetry - I think it's poorly scanned and pedestrian) but they're not essential to the plot and can be easily skipped. Verdict: A good story for a chilly winter night or to read in installments. 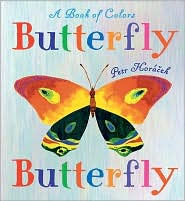 This is indeed a book of colors, as the subtitle says. The plot is thin: a little girl plays with a butterfly, but can't find it the next day, so she goes looking until it pops up (literally). But the colors....a cheerful-looking little girl in a polka-dot dress, playing amid vibrant hues as animals and insects intersect through peek-holes (there's probably some official name for that, where there's a hole in the illustration and you turn the page and it's part of something else, but I call them peek-holes) ending in a magical surprise. Verdict: If my library collected pop-ups, I'd get it! This sweet, gentle story speculates on what happened to a little dog before he was adopted from the shelter. Maybe his owners loved him but couldn't keep him. Maybe they weren't prepared for a puppy. But now he has a new home and is loved. There is an author's note at the back encouraging people to consider adopting from shelters. The illustrations are soft and warm and match the tone of the story. I have one major caveat. One of the "maybes" says, "Or maybe one day they left their gate open, and you ran away and they never heard that if your dog runs away, you look for him...until you find him." Whoa, way to lay the guilt on! So, if a child's beloved pet runs away, and they spend hours calling, and ask all the neighbors, and put up posters, and call the local shelters, but still don't find him, it's your fault? 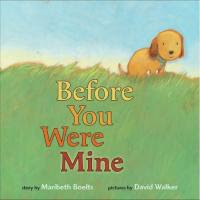 Verdict: This is a sweet book and excellent in most respects, but I wouldn't read it to a child whose pet has run away. Yes, I know what everybody thinks about celebrity picturebooks. 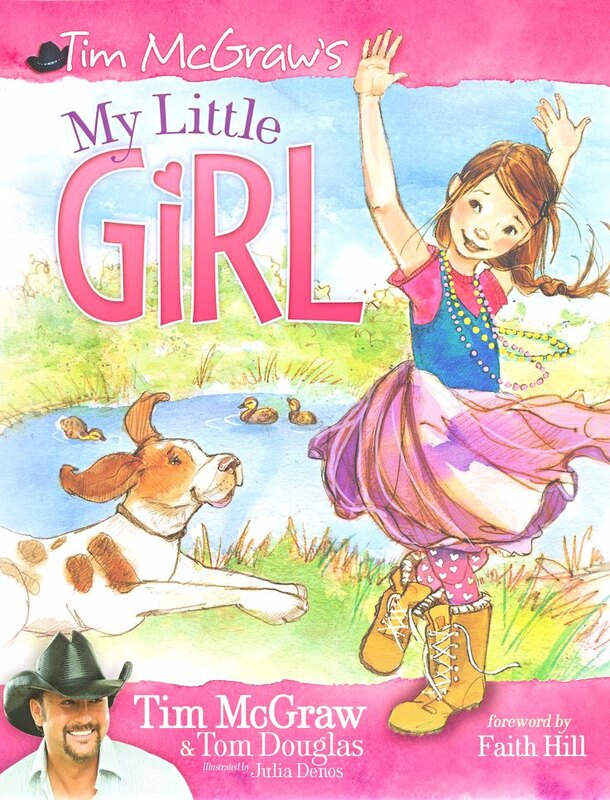 Actually, I had to look up Tim McGraw on wikipedia to figure out who he was, although I had guessed he was country music from the hat. I don't like country music. I didn't really like this story either. A dad promises his little girl they're going to do something special, which turns out to be...just spending the day together. Yes, I know spending time together is important and all that, but that was a nasty thing to do to your kid. Of course by the end of the day it was the best time ever, etc. etc. The writing is, for lack of a better word, blah.